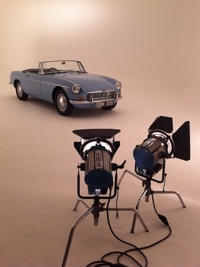 Are you interested is owning a classic car such as a MGB from the late 1960s or early 1970s? 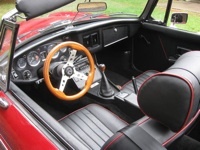 This classic sportscar is quite simple mechanically, and it offers a pure and honest driving experience. Like any vintage car, there are many ratty examples and you should buy the best condition MGB your budget allows. The main areas to focus on are as follows. The MGB is a well-built and designed machine, but it is a steel-bodied car and it is prone to rust, especially if driven in extreme winter weather. The trailing edge of the trunk lid and tailgate are prone to rust and may have been repaired with bondo or fiberglass. Sometimes fender repairs are made by welding new panels over the top of the old ones. This accelerates the rusting in the new panels. Remove interior trim to look for signs of poor repairs. Check the condition of the battery holder which can corrode due its location under the car and also if battery acid has leaked out. Look for uneven gaps around the doors as poor alignment means badly repaired sills. Check for corners touching, large gaps or doors with uneven gaps with the bodywork. Look at the structures under the fender because mud can collect in the upper sections and cause corrosion. Unfortunately the only way to assess the full problem is to remove the front fender. If you suspect trouble, there is usually more to be found once the fender is removed. The front fenders can corrode around the headlamps and in the lower corners behind the wheels where mud is splashed up. Check the cross member under the car (it is usually fine as oil from the engine drips down and coats it). The front suspension components all rely on this cross member to be structurally sound. Check the lower edges of the doors from underneath for rust, bondo or fiberglass. A blocked drain hole in the door can fill the door with water. Check the inner and outer sills for corrosion or covering of the sills that hide problems. It is not uncommon for a new sill to be put on over the old corroded sill which will greatly reduce the life of the new sill. The sills are a very important part of the car's structure and should be examine carefully. Check the rear wheel arch lip for corrosion and body filler. The lower areas of the front and rear fenders are also venerable due to mud being splashed up and not being removed. The front air intake and rear deck (roadster) can be difficult panels to repair therefore, check for any signs of corrosion or filler in these areas. The B-series engine is one of the strongest engines around and with the exception of general wear and tear on high mileage cars, the engine is not a weak point. If possible have the car started when cold so you can look for smoke on start up which indicates oil seal failure on the valve gear. This is not a serious problem but the cylinder head needs to be removed to make the repair. When the engine is running and up to temperature, noise from the top end is normal (B series engines can be a bit tappety). In fact, if there is no noise then the rockers probably have been over tightened, possibly to hide wear. But doing this will accelerate the wear in the valve gear. Any rumbling from the bottom end, or block, means a worn crank and main bearings so do not buy the car unless you are prepared to do an engine rebuild. A chattering timing chain is a sign of wear, but the timing chains can be replaced fairly quickly, inexpensively and with the engine still in the car. The presence of water in the oil is a sure sign of a blown head gasket and potentially a cracked or warped head. Oil leaks are commonly found near the timing chain cover, gearbox bell housing cover, drain hole, and tappet side covers (it is nearly impossible to stop a B series engine from leaking oil but at least the oil will act as rust protection for the bottom of the car). Look for an oil pressure of about 50 PSI in 4th gear with the engine warm while driving. A significantly lower reading might mean a faulty oil pressure sending unit, a worn oil pump, or worn engine bearings. 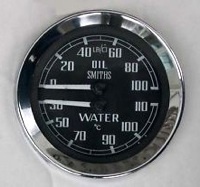 Running hot indicates a worn water pump, a blocked radiator, or even burned exhaust valves. The MGB used a three synchromesh transmission up to 1968 and this unit is most likely to give trouble because it is less robust and spare parts are hard to find. On all MGB transmissions, noises and grinding are caused by worn bearings, gear teeth, or thrust washers. Also, look for the gearshift lever jumping out of second or third gear when the clutch is not engaged. If the gearbox has problems, it is best to replace it with either a good used unit or a professionally recondition unit (with a warranty) as the cost of buying the parts yourself is expensive. More than an inch or so of play in the clutch pedal indicates a worn master or slave cylinder that will require replacement. Clutch replacement usually requires the removal of the engine and gearbox. Faulty overdrives may be suffering from a clogged filter, low gearbox oil level or electrical issues. If early overdrive transmissions fail to come in or out of third or fourth gear, a worn solenoid switch may be the problem. Check to see if the switch which prevents overdrive operation except in gears apart 3rd and 4th has not been shorted out because this will allow the overdrive unit to operate in reverse and will destroy the clutch arrangement in the overdrive unit. Vibration especially at speeds over 50mph could be caused by worn universal joints at either end of the prop shaft or it could be the prop shaft itself that has gone out of balance. Universal joints are cheap and easy to repair but the prop shaft has to be removed. The rear axle on a MGB can leak to due faulty seals, a clogged vent, or just careless overfilling. Never overfill the axle as the excess gear oil will contaminate the rear brakes. Clonking as the axle is engaged is actually acceptable, but excessive noise will require attention to the rear differential although they will continue for some time in this condition. The interior of many MGBs have been neglected and can be in poor condition, some have received creative modifications. The best situation is to find a complete, but well-worn, original interior. On most un-restored MGBs you should expect to spend a considerable amount of time and or money to bring the interior to original (or better) condition. Most items are available from leather seats, carpets to door panels, however, these will be expensive. A quality wood inlay dash kit can upgrade the appearance of dashes, although it will deviate from the original design. You can even upgrade your steering wheel, but remember the factory-installed wheels have a large diameter for a reason - MGBs do not have power steering! An un-restored car is also likely to need a new soft-top or fabric sunroof if it is a GT. The vinyl tops tend to get torn from improper folding and storage. The top frames are ruggedly designed and even those that do not raise and lower smoothly can be cured with lubricant. New soft tops are available now and in a large range of materials and colors than when the car was new. The interior of the car is where you will get the most out of your driving experience, so it is worth spending extra money. Also, if the interior is a bit worn then it is a good topic to negotiate the price. Kyle Busch is the author of the book Drive the Best for the Price and an automotive writer for the San Francisco Examiner. If you have any questions or comments please enter them below! Comments on "Buying a Classic MGB"
Does a 1973 MGB benefit from installing dual exhaust?